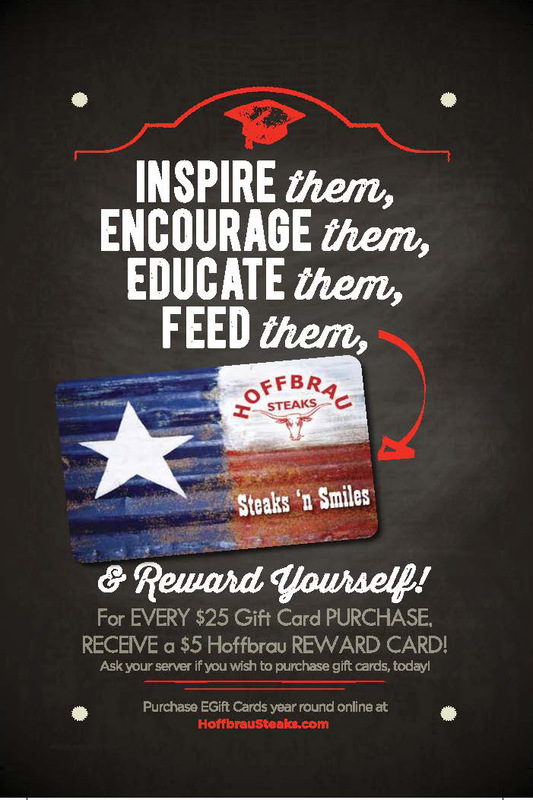 Its Graduation time and Hoffbrau Steaks Company has a great deal for you! 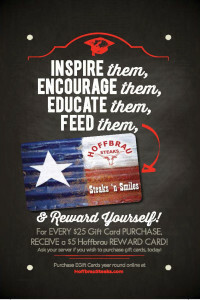 The team at Hoffbrau loves graduates, and has some awesome gift cards to help you celebrate your graduate. Who doesn’t love the gift of great food, at one of their favorite restaurants….and while your at it, why not head down to the West End Historic District, Dallas, Texas after graduation for a delicious meal with your family and friends to commemorate this special occasion!